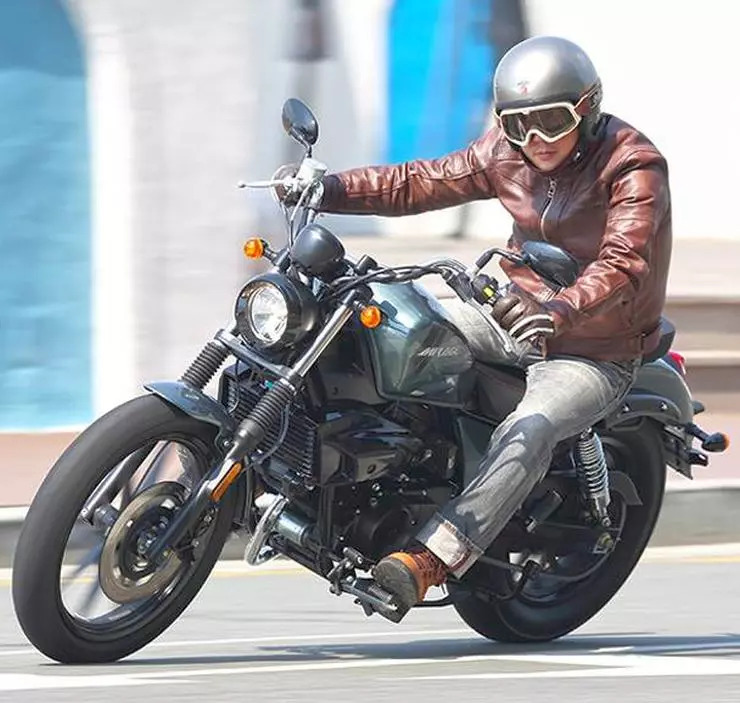 Hyosung is planning to take on the leader of the 250-500 cc cruiser segment – the Royal Enfield Thunderbird 500 – with their Mirage 250 cruiser motorcycle. The Mirage 250 will replace the Aquila 250 from the model line-up. It’ll be launched later this month. The Hyosung Mirage 250 will be powered by a Euro-4 compliant, 250 cc v-twin engine which will produce 25.8 Bhp and 21.7 Nm of peak torque. The engine on the Mirage 250 comes with a 6-speed gearbox. The motorcycle offers better torque than the Aquila 250, which is expected to make riding more effortless. The motorcycle comes with a 15-litre fuel tank which can give a total driving range of 400 Kms, as claimed by the company. The riding position of the bike seems quite comfortable, what with the laid-back handle bar design and forward placed foot-pegs. The Mirage 250 gets significantly bigger tyres than the Aquila – 19-inchers at the front and 16-inchers at the rear. The design language of the Hyosung Mirage 250 gives it an urban cruiser look and feel. The motorcycle gets a redesigned fuel tank, chopped out front fender and wire-spoke wheels finished in chrome. The headlights and taillight on the Mirage 250 are all LED units. The handlebar now hosts the single pod instrument cluster giving a minimal look to the front. Braking on the Hyosung Mirage 250 is handled by a 300 mm disc brake at the front and a 220 mm rear disc with dual-channel ABS as standard. The suspension system on the frame consists of telescopic forks at the front and twin shock absorbers at the rear. These specifications are similar to what’s offered on the Royal Enfield Thundebird. Earlier, Hyosung was sold in India by DSK-Moto wheels but due to financial situations of DSK-Moto wheels, Hyosung shut its operations in India. Hyosung will now re-enter the Indian market with the help of the Kinetic Group under the Motoroyale brand. The Mirage 250 will be locally assembled at Motoroyale’s plant in Aurangabad. Hyosung is expected to launch the Mirage 250 at around Rs 3 lakh (ex-showroom). 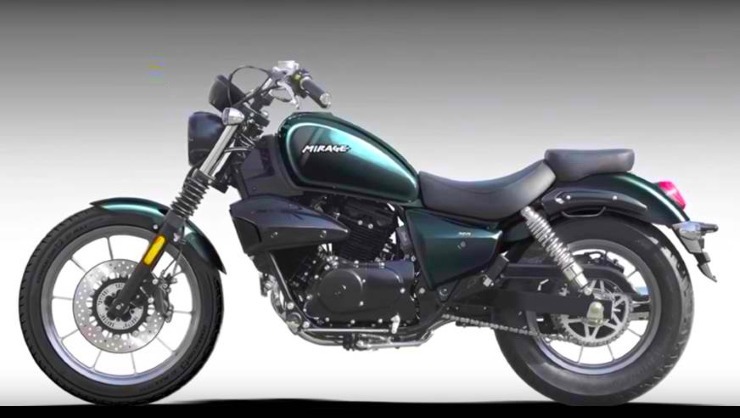 Due to the price factor and the engine output, the Mirage 250 will be the Royal Enfield Thunderbird 500’s nearest competitor.